You have recently watched a hockey game with your best friend, who is, by the way, the biggest hockey fan, and somehow, you came to appreciate the sport. The game’s dynamic, the freezing yet hot action on the field and, most importantly the fans cheering for their teams can be really refreshing to watch. Plus, you can start sportsbetting and win some serious money if only you knew the rules of hockey… If only. You know that to have great betting outcomes, you need to know the game, study the odds and rules and hopefully one day collect great winnings of it. 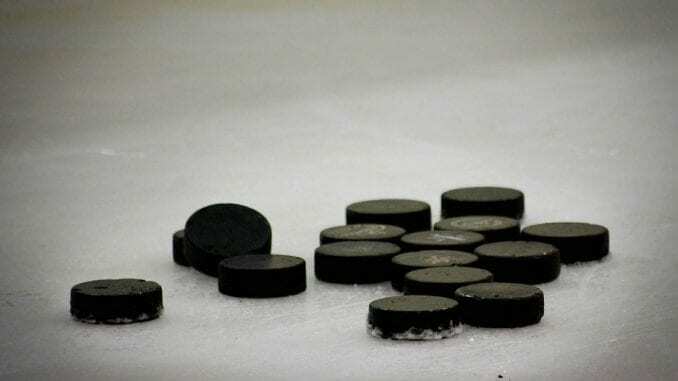 But to succeed in becoming a hockey fan and a potential bettor, you will first need to learn the basics of hockey, and that’s precisely what this article will help you in. Basically, you have no clue about what’s going on during the game. So, what you need to do first is learn the basic rules. Hockey is a game where players play three twenty minute periods. There are intermissions between the periods, that last 17 minutes. If the game final result is a tie, then there are additional 5 minutes of overtime. If that doesn’t solve the problem, the teams do a shootout. In fact, as you can see, this last part is similar to football rules. Something that’s also similar to football is the objective of the game. All players are concerned with is preventing the other team from scoring and making a goal. Even though it might seem as if that’s all that players do and there are no rules, there are rules, actually, and a lot of them. They basically revolve around the minor and major penalties. Major penalties include fighting, boarding, and checking from behind while minor include hooking, delay of game, high-sticking, cross-checking, elbowing, and tipping. When a player gets a penalty, he is punished by sitting out of the game for 5 minutes if the penalty was major or 2 minutes if it was minor. A timekeeper is in charge of keeping the player inside the penalty box until his punishment is finished. If in case the player gets out before the time is up, another minor penalty follows. Now that you know some basic rules, although it would not be a bad idea to research hockey history as well, it’s time for you to start watching hockey actively. Watch some matches and look at what is going on, listen to what players are saying and doing, make some analysis, predict scores etc. You will see how fast you will get to love a particular team and start cheering for them. And once you find your team, you will see that following the matches will help you understand the game specifics more and more each day. Soon enough you will have a favorite hockey player, you will become motivated to watch more hockey games and thus, become an experienced hockey fan. You should know from the start that there are opponents of the fighting in hockey, as well as proponents. They have opposing opinions, but you should stick to the one that the fighting is an integral part of the game. As is the talk. Use the ‘He took a dive’, ‘He made the save’, ‘Let’s watch some puck’, ‘He’s a brick in the wall’ etc.